Packing and storing no longer has to be an arduous task. Take advantage of Palmers Mobile Storage and let the professionals do all the work! Palmers Storage offers modules in various sizes that are transported to you. It is self-storage with a mobile differentiation, designed to cater to the needs of the busy lives of our customers. These modules can be left on site at your home or property, or be transported back to a Palmers facility. Mobile storage comes with the perk of having professional removalists not only pick up your possessions and deliver them to you, but the task of packing and unpacking as well. Rest easy knowing that your items are being carefully packed by removalists with the know-how. Palmers removalists use a variety of techniques and materials to ensure safe packing. For instance, they use porta-robes to keep your clothing protected from soiling and crushing. They also use special protective coverings for your furniture, and their own general materials to pack if you can’t provide them. Save your back the strain and yourself the time by outsourcing to the professionals. Why get someone else to pack personal items? If security is your worry, Palmers offers insurance to protect your belongings from theft or damage. However, many people are apprehensive about letting third parties in to pack their things due to privacy reasons. If you decide to take the leap of faith, you’ll join a growing group of customers who say they’ll never go back to doing it themselves. Palmers storage is a reputable storage company in the Australian landscape. As a mid-sized, family-owned business, it has the perks of a small business-feel with a single point of contact for customers, as well as the reliability and affordability usually associated with larger companies. 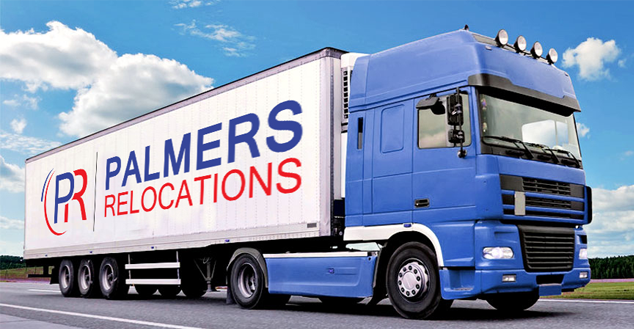 Palmers is attentive to the needs of clients in the storage and removals industry, and their mobile storage offer is emblematic of this. Give Palmers a call today on 1300 363 916 to find out more about mobile storage and to make a booking.